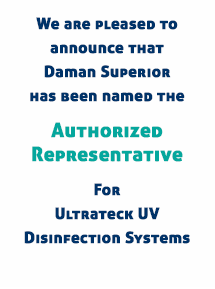 Daman Superior’s Corporate goal is to provide our clients with the most innovative and diversified product offerings available in the Water and Wastewater Industry today and for your needs in the future. With the total support and commitment from our Vendor Partners it is our utmost desire that you, our valued clients, will entrust your needs to our Company’s dedicated staff of Professionals. Whether it is our comprehensive list of products or our Service and Repair Group, Daman Superior’s customer focused goal is one of complete satisfaction. 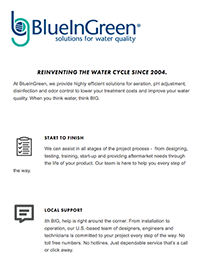 Allow one of our Sales Associates to assist you in resolving a problem or simply offer a better and more cost effective means of handling your water or wastewater needs. Next time think Daman Superior first and allow us to use our years of experience and knowledge as an asset you can trust and rely upon. As our Corporate motto states “Excellence in all we do.” Let us put that excellence to work for you.